The windows are thick with condensation from the early morning humidity. The grass is growing faster than I can cut it. And without fail, my satellite television goes out right during the second World Cup match of the day due to mid-afternoon Florida thunderstorms. We’re in the Dog Days of Summer now. But that means we’re nearing Independence Day—one of the only days Floridians decide to go outdoors between June – August. We can brave the heat for a barbecue, but a barbecue is the only reason. It’s hard to believe we’re halfway through 2018, but here we are staring down one of the biggest celebrations of the year.  PR/PR will be closing its offices tomorrow to partake in the festivities, but we will be open and ready to work for the remainder of the week. We hope you have a safe and Happy 4th, and we’ll see you Thursday morning!